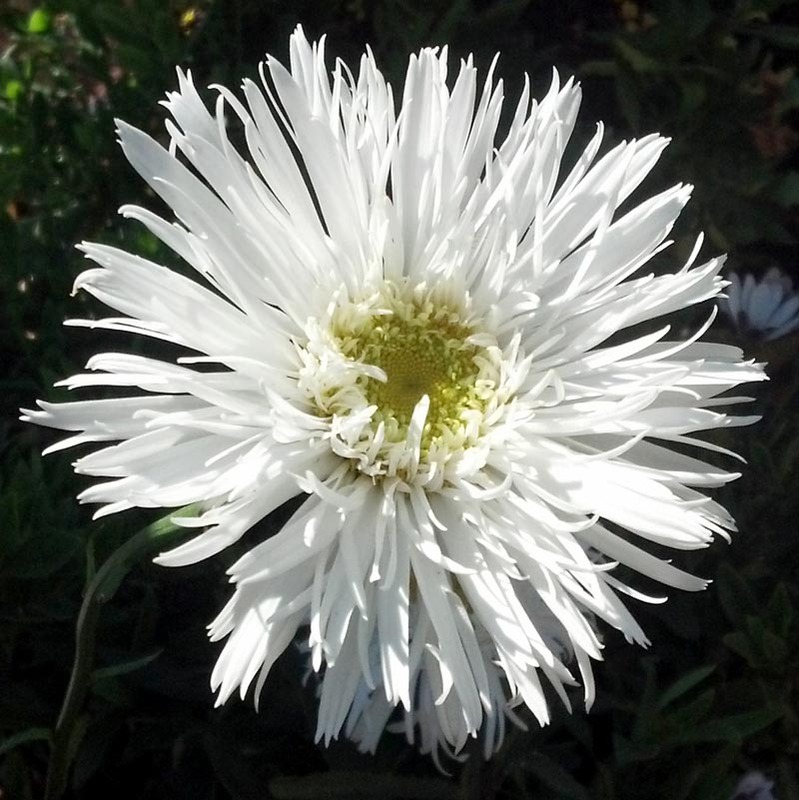 Perennial daisy with double white, ruffled flowers summer-fall. Deer, gopher and drought tolerant. 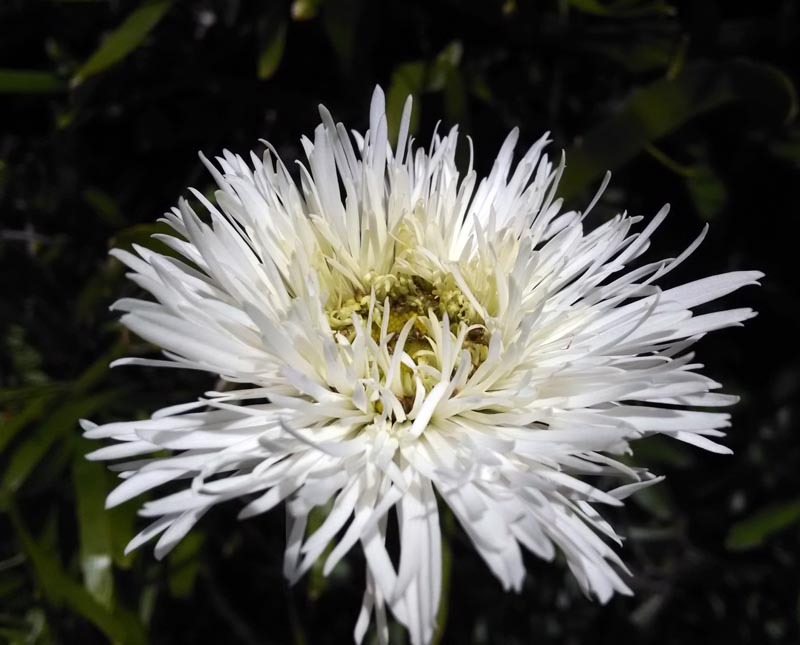 Will attract butterflies and hummingbirds to your garden!